Sam A. Patel writes dystopian stuff. And he's got some strong ideas about how to do it. Personally, dystopian lit is one of my favorite genres to read. Yeah. For some reason the breakdown and rebuilding of modern society just entertains me. Don't ask why. 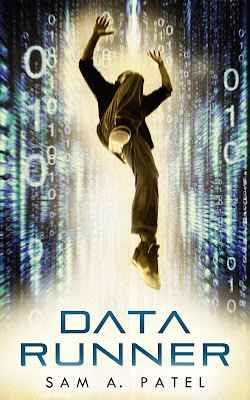 So maybe we'll ask Sam, because he authored a dystopian novel called Data Runner! Check out the guest post he wrote for Writing Belle. It always begins with the world-building. War, disease, environmental collapse, nuclear fallout, alien invasion, rise of the machines—whatever the reason, the world has fallen apart. Then the protagonist’s story unfolds against a fantastical backdrop of totalitarian governments, post-apocalyptic survivalism, societal factions, preternatural dangers, etc. This is what’s called a dystopian setting, and it can be a very powerful environment in which to tell a story. But there is another kind of dystopia that seems to have fallen by the wayside in recent years: the dystopian theme. Now, I am fully aware that YA books in general tend to skew away from thematic elements. According to the Wikipedia page on Young-Adult Fiction "theme and style are often subordinated to the more tangible elements of plot, setting, and character, which appeal more readily to younger readers." However in recent years it seems like the pendulum has swung too far in that direction, because while dystopian settings are all the rage, dystopian themes are scant and nearly impossible to find. There is a reason why Nineteen Eighty-Four has only grown more relevant with time. 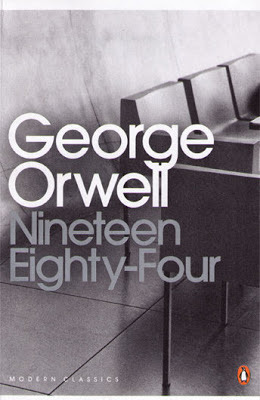 In tackling issues like perpetual war, party-first politics, unchecked government surveillance, and media propaganda, the novel expresses concerns that are just as current in 2013 as they were back in 1949. The themes of Orwell’s classic are both universal and timeless, as the best themes always are. The book doesn’t just sweep us into another world, it holds up a mirror and forces us to cast a light upon our own world. It forces us to see the gears turning today that could bring us to Orwell’s tomorrow. Nineteen Eighty-Four, unlike most of the dystopian books being published today, subordinates its dystopian setting to the broader development of dystopian themes. And despite what Wikipedia has to say about this, it is a book that readily appeals to most young adult readers. I’ve always had a preference for dystopian themes. That’s why, when I sat down to write Data Runner, I wanted to create a minimalist setting that was a very natural and organic extension of the world we live in today. I wanted to hold up a mirror. I wanted to force my readers not to escape reality but to pack it in a suitcase and bring it with them into the book. My dystopia is a world in which the Internet is now owned. A world in which the central characters don’t struggle against reanimated killers or an iron-fisted capital, but against a collective that now owns their water rights. It is a world in which the gulf between the haves and the have nots has grown far too wide, and too big to fail has grown to epic proportions. I wanted to create a dystopia that is as relevant to us today as it is to the characters in the book. Too often these days, writers think they have to follow the Wikipedia guidelines for Young Adult writing. They don’t. There has never been a better time for dystopian themes; for raising questions that affect us today and exploring how they might play out in a world of tomorrow; for writing not about the horrors we see in our nightmares, but about the ones we see on our televisions each and every day. Of course, some readers won’t like this. Some will feel underwhelmed and disappointed by their inability to “escape.” That’s fine. But when those readers turn on the television and see the CEO of Nestle saying that water is not a basic human right, and that every last drop on the planet should be privatized by corporations to sell for consumption, they’ll remember Data Runner. They’ll remember it, because that mirror never goes away. Themes matters. Themes count. And dystopian themes in particular tend to persist. So rather than play into the setting-first convention that has stifled the genre, buck it. Build a different kind of dystopia. Build a dystopia based on theme. You might just be surprised by what you come up with. 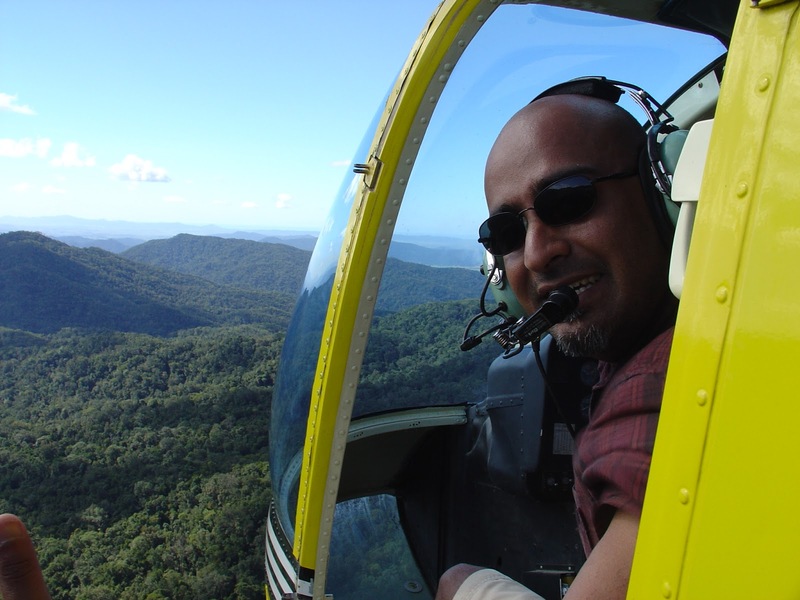 Although born in Waukegan, Illinois (same as literary icon Ray Bradbury), Sam A. Patel grew up in New Jersey. An avid collector of comic books and roll-playing games, he created his first node on the Internet at the age of 14 when he ran a BBS on his Commodore 64 with a 300 baud modem. Later, he earned a Bachelor of Arts in English from the University of Miami, and a Master of Arts in Philosophy from New York University. In the time since, he has stress-tested data centers for the national election, taught English in Japan, managed email servers in Portland, Oregon, and built exhibition booths in Melbourne, Australia. Data Runner is his first series. You have one exciting book there Sam. I'm a fan of dystopia as well and freely admit that I haven't considered the theme as much as the characters. This writing is superb and Sam has done a great job in writing data runner and the theme is perfect also it is good for me to come here and see this perfect post. I love to read Dystopia and this post is more interesting for me.